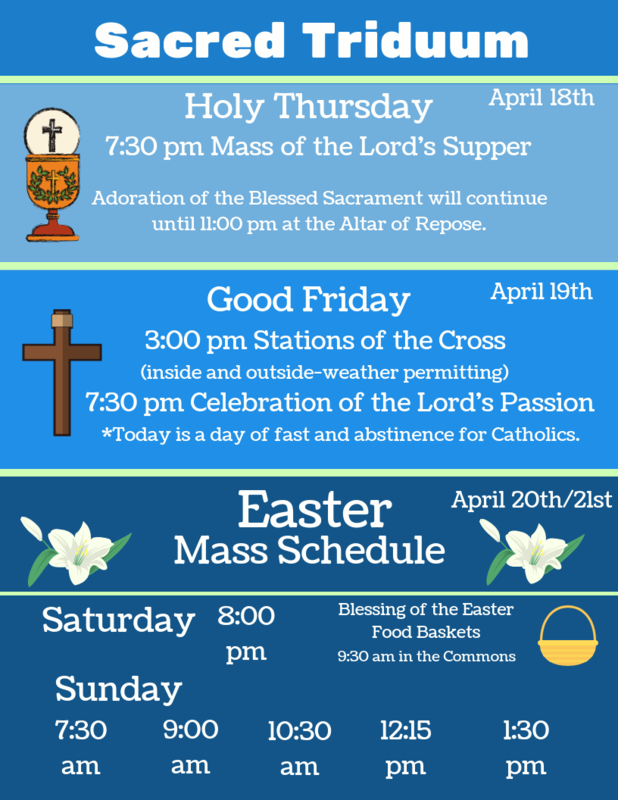 Our parish-wide Lenten retreat continues this Tuesday night from 6:30 to 8:30 pm, registration is full, but help is needed for the remaining two evenings for set-up and clean-up. 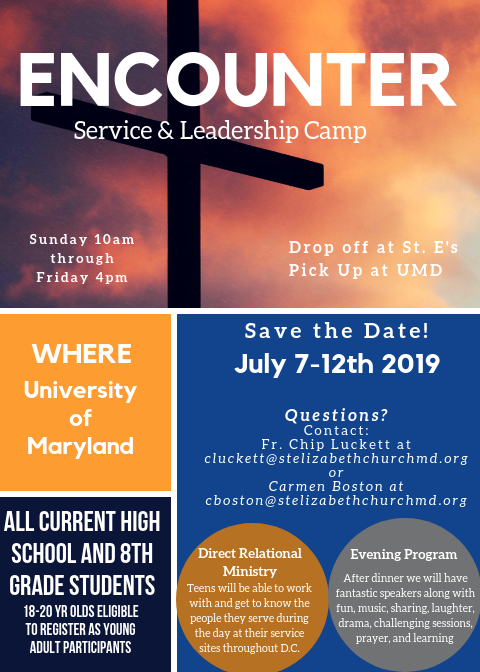 If you’d like to lend a helping hand, please contact Colleen at csteele@stelizabethchurchmd.org. 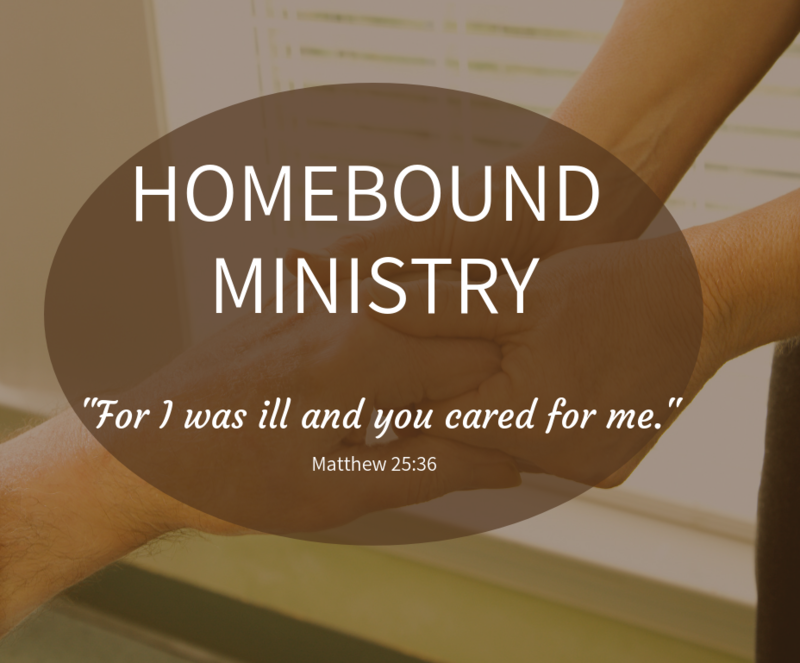 In the meantime, please keep all of those attending Life in the Spirit in your prayers. 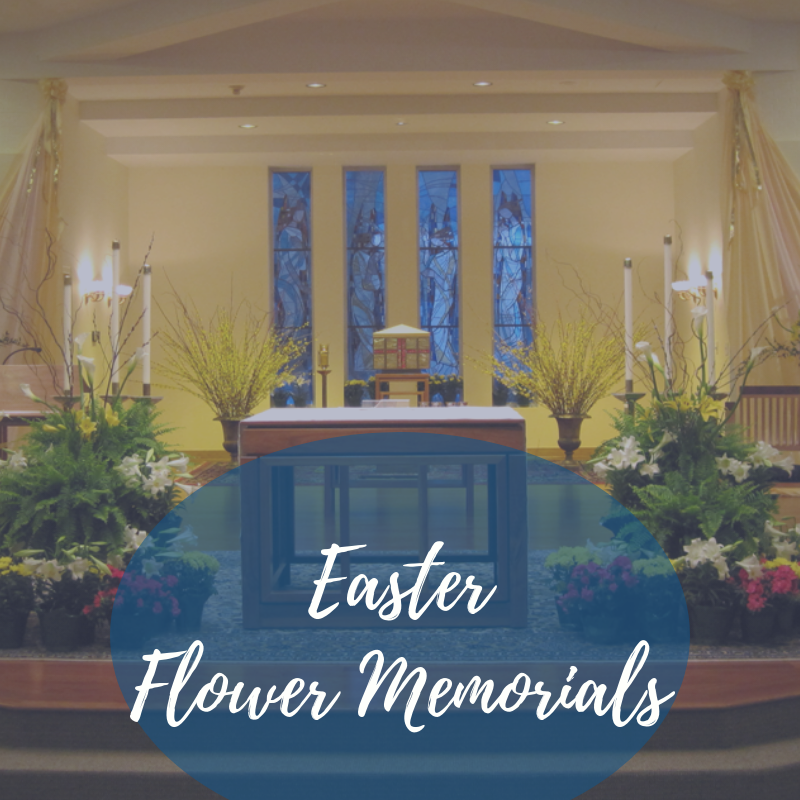 If you’d like to remember someone in your life this Easter (living or deceased) and help beautify our altar you can do so online by going to our website.